INSIDE OUR HEATED SHOWROOM TO VIEW IN COMFORT!  FINANCING AVAIABLE, PAYMENTS AS LOW AS $443 PER MO O.A.C. 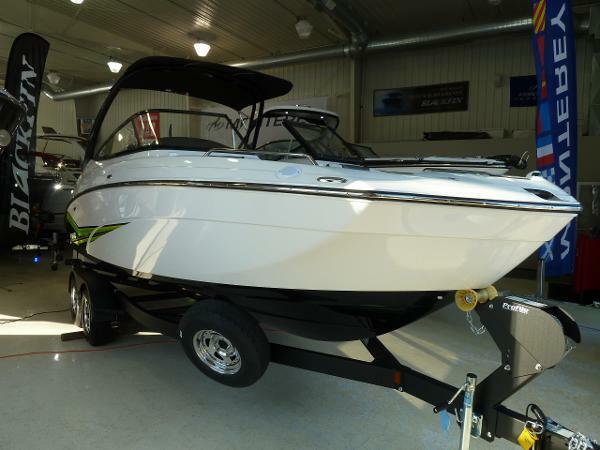 This AR 240 is sure to impress the Water Sports Enthusiast, completely designed to be a family friendly boat with lots of seating and all the right equipment to make water sports a priority and Cruising Enjoyable! The Black/White Color Package with Bright Green Graphics is sure to catch the eye and the Color Matching Aluminum Tower & Extra Large Bimini Top is sure to set the tone! The Swim Platform alone Speaks Highly for the Boat, with Multi Levels to get you closer to the water, the Cushioned Back Rest are comfortable and will become an area for you to lounge while floating in the lake! 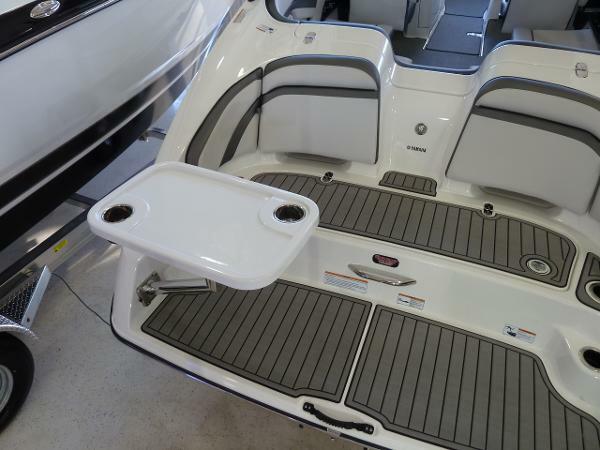 Stereo Controls, Many Cup Holders, Table & Storage just add to the features just on the Transom of this Boat! Work your way inside and the Seating is impressive, the Captains seat is large, comfortable, has flip down Arm Rest and a Flip Up Bolster, really making the Captain Feel at Home! The Dash is Sleek and Powerful, with the easy to use Connext Touchscreen with Joy Stick Control, and Tilt Wheel adds to the Captains Comfort! Work your way to the bow and you'll notice how Yamaha did a Great job keeping the boat wide far forward, giving more seating or space to lay out, the standard bow filler cushions are a nice touch as well! Storage is abundant throughout the Boat and the Port Side Compartment can be used as a Head (Porti Pottie) Sold Separate)! 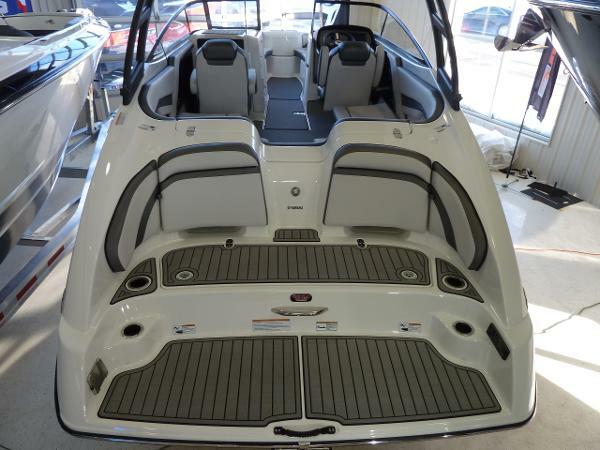 Overall this boat should surly show it's Value inside and Out, compare feature for feature to other boats on the market and this AR 240 is a sure Winner!